What is the best application to use on the G1 for MSN? And does it cost anything to use it? how can you activate the GPS?, and when you buy the phone where do you set up your Gmail account? D.C, 17 Jan 2009Cupcake won't cost anything! It will be a free update so dont worry about it! Any Android u... moreWell said! 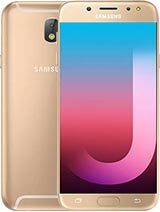 This phone is great to have, people complain about battery life, well you can switch 3G to 2G and 2G is still quick and also turn the brightness down all the way thats the best way to save battery. I own the G1, it is a great phone. I work for SCKiosk in Chicago District amd we have the Iphone, Samsung Eternity, Samsung Behold, Samsung Instinct and LG VU. 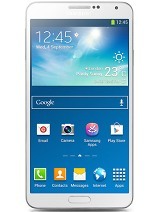 And i was playing with all the phones and G1 has the best features out of all the touch screen phones. People talk about iphone has touch screen text well G1 does also (application is called Chomp SMS) and the web browser you can rotate the screen with out sliding the the screen base to use the keyboard. And the web browser is also touch screen text board. 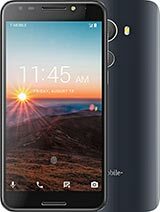 (application is called Steel) The G1 is a great phone to have, I highlt recommend to all T-Mobile users!! Cupcake won't cost anything! It will be a free update so dont worry about it! Any Android update will be free as the whole Android OS itself is free, this will tempt more manufacturers to produce Android devices as all they have to do is worry about the hardware, and the Android OS is free! This should also mean that devices shouldnt be as expensive as WinMo and Symbian devices. 2009 is the year of Android! With so many manufacturers already on the bandwagon, we are sure to see some great devices very soon. The G1 isnt ugly, just that its not much to look at but the functions are all there and it works pretty well. Cupcake should fix a lot of issues people are having. As for those who are torn between the G1 and the iphone, its simple... if you want a good solid looking phone and want to use it as a music player and browsing then the iphone will do the job. 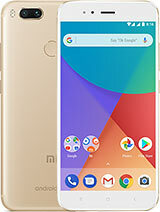 But if you want a hardware keyboard, a slightly better camera, a slightly better and clearer display, copy, cut and paste, and the comfort of knowing that there is an unlimited number of people, working on apps for Android, then you'll want the G1. I've had the iphone and at first it is WOW but after a week or so, I was just using it as a phone and nothing else! With the G1, after a few months now, I am still attached to this device and love browsing the net, sending texts, emails, posting messages on forums, making calls, checking the Android market every day for new apps, installs apps, keeps some apps, delete some apps, and recently I've started to read ebooks on the damn thing! I dont let it out of my site, it always has to be near me! I've had them all, Diamond, Cruise, Magician, i600, Trinity, Artemis, Tytn, K-Jam, and so many others but none of them had received as much love and attention as the G1! I am amazed that sp many people choose form over function. The iPhone is a pretty little phone for airheads. Android will be where the exciting work will be done. If you're a hairdresser and/or drive a car with flaired arches/painted flames down the side, go for the iPhone. If you want something that actually delivers, get the G1. can you open office documents on this device? also does anybody [from the uk] know if you can download or will be able to download bbc iplayer? battery isnt so good . can we use this phone in any gsm network worldwide??? Marc, 29 Dec 2008I actually own the phone, unlike most of these people posting negative comments. It's a gre... moreglad you like the g1 i've had it for about a month now and to be honest the battery life is naff but you can purchase an extended life battery from expansys .com.apart from that this phone is great,i've had the iphone and thought it was a pile of shite. yes you can use bluetooth. It's a great phone and while there are some small glitches, updates are FREE and will be automatically distributed.